The lull is dangerously setting in in India with a third consecutive year-on-year drop and the steepest so far at -5.2% to 291.640 units. The already lukewarm market has slowed further due partly to Kerala floods resulting in higher fuel and car prices. A quick return to strong gains doesn’t seem likely however as all major manufacturers have unusually high inventories: according to Mint Research, Maruti is at 40-45 days vs. 30-35 at usual level, Hyundai is at 35-40 vs. 25-30, Mahindra at 45-50 vs. 25-30, Tata at 35-40 vs. 30-35 and Honda at 50-55 vs. 25-30. Yet thanks to a strong start of the year, the year-to-date volume remains safely in record territory at +8.8% to 2.591.142 units. Only 3 carmakers in the Top 12 post a positive result in September, starting with market leader Maruti (+1%) tightening its grip even further to a suffocating 52% share vs. 48.9% a year ago and 51.4% so far in 2018 (+12%). Tata (+7%) is the most dynamic thanks to the success of the Tiago and Nexon (see further down) and Toyota (+1%) closes the list despite a paltry performance from the new Yaris. We estimate most premium brands to improve in the double-digits: Porsche (+100%), BMW (+45%), Volvo (+36%), Mercedes (+11%) but these are very rough estimates. At the other end of the scale, Nissan (-63%), Jeep (-44%), Renault (-41%), Volkswagen (-30%), Datsun (-28%), Skoda (-22%) and Honda (-19%) are all in great difficulty. The Mahindra Marazzo is up 61% for its 2nd month in market. 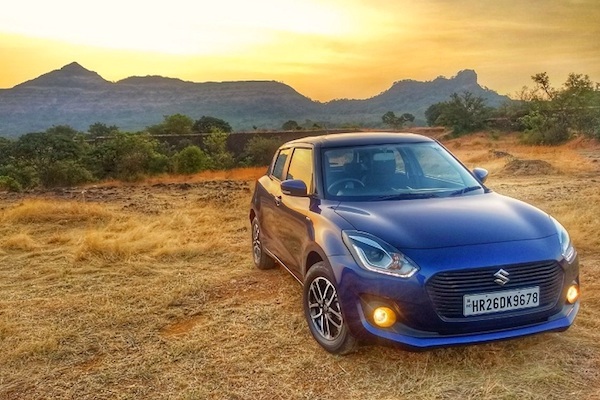 The Maruti Swift surges 68% year-on-year thank to the new model, snapping the Indian pole position for the first time since April 2017 and for only the third time in history, the very first being in April 2012. The Maruti Alto (-9%) is knocked down to #2, a spot it also holds YTD below the Maruti Dzire (-38%) also down one spot on August to #3 this month. The Maruti Baleno (+15%), Vitara Brezza (+6%) breaking into the Top 5 for the 1st time this year and the 4th time ever after July 2017, August 2017 and November 2017, and the Wagon R (-10%) make the September Top Six 100% Maruti for the third time in a row and the 4th time in the past 5 months. The Hyundai Elite i20 (+7%) leads the non-Maruti charge ahead of the Hyundai Grand i10 (-20%) and Creta (+18%) while the Maruti Celerio (+92%) knocks the Honda Amaze (+228%) out of the Top 10 at #11 followed by the Tata Tiago (+1%) surprisingly stable at very high levels. 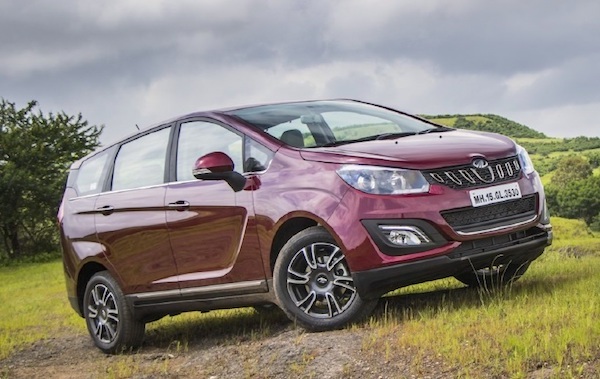 The Tata Nexon (+55%) celebrates one year in market, confirming it is a blockbuster at home, the Mahindra Marazzo is up 61% and 9 spots on its inaugural month to #27 but the Toyota Yaris is down 10 to #52. Full September 2018 Top 23 All-brands and Top 85 models below.